AM Services Group’s team are very experienced at delivering tank and silo cleaning. With us you can rest assured that your products are always high quality, delivered on time and fully compliant through an expert tank and silo cleaning maintenance schedule. Why is tank and silo cleaning important? Tanks and silos are common on industrial sites, in chemical or other manufacturing situations, in food production, or on farms, but what is the same in each case is that regular maintenance is vital to ensure that product residue does not build up on the internal sides and discharge sections. The tank contents may be wet or dry, but lack of efficient and effective cleaning can lead to product contamination and spoilage, or to the slow flow of products. Our comprehensive tank and silo cleaning service helps to keep your products in top condition, reduces the possibility of banking and bridging and can encompass discharge equipment. We ensure that operational efficiency is maintained and downtime is kept to a minimum. Our quality service also helps to ensure that your valuable assets will serve you as well as possible for as long as possible.  We deliver the highest standards of health and safety. Wherever confined space and high level work is involved, you will be in safe hands with one of our team and we will help to minimise risk, when possible, by using appropriate specialist equipment. We always work as quickly and efficiently as possible without ever compromising health and safety and quality service.